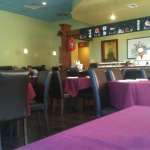 Tasty Eats offers a small, clean and attractive dining room area and a small yet intriguing menu. 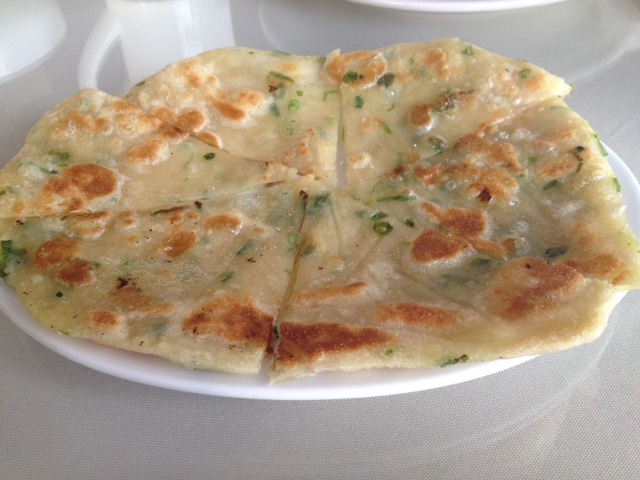 It’s not often you see appetizer offerings like braised pig feet, marinated egg, or kale salad on a typical Chinese menu but those are just a few of the options along with more traditional scallion pancakes, spring rolls and pot stickers. There are daily offerings of hot pots and tofu stews, depending on which day of the week it is, and the hot pots can be customized to just your liking with a variety of ingredients from pork belly to fish balls. A small white board offers daily specials, and these are definitely worth checking out if you want to see what the chef is making for the day—no doubt with the freshest offerings of the moment. 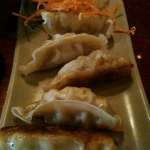 On the day we went, we started with two appetizers: the scallion pancake, pork dumplings, and the kale salad. The pancakes were lovely and different from most you will find: thin and almost crepe-like in their consistency, and not overly greasy at all. 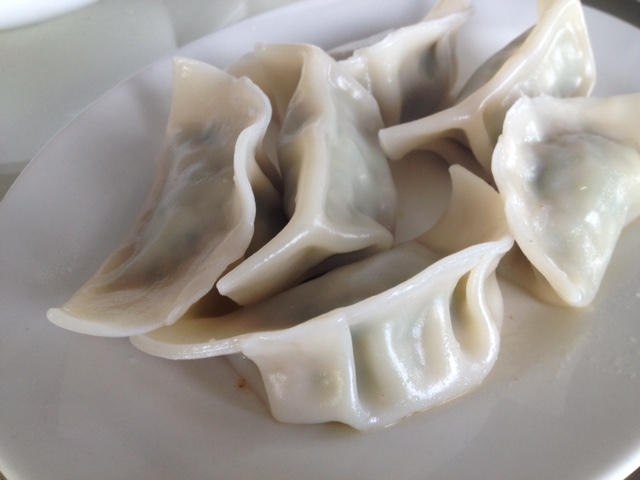 The pork dumplings too were light, the filling strongly accented by ginger and Chinese greens. Our server also brought us a bowl of the kale salad to try, which was a perfect lighter side to go with these two heavier dishes. We also ordered the Yang Chow Fried Rice, which my mother remembered being excellent from her first visit. 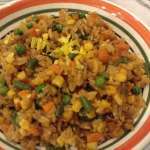 This was some of the best fried rice I can remember enjoying, filled with tiny diced pieces of carrot, ham, baby shrimp and more. 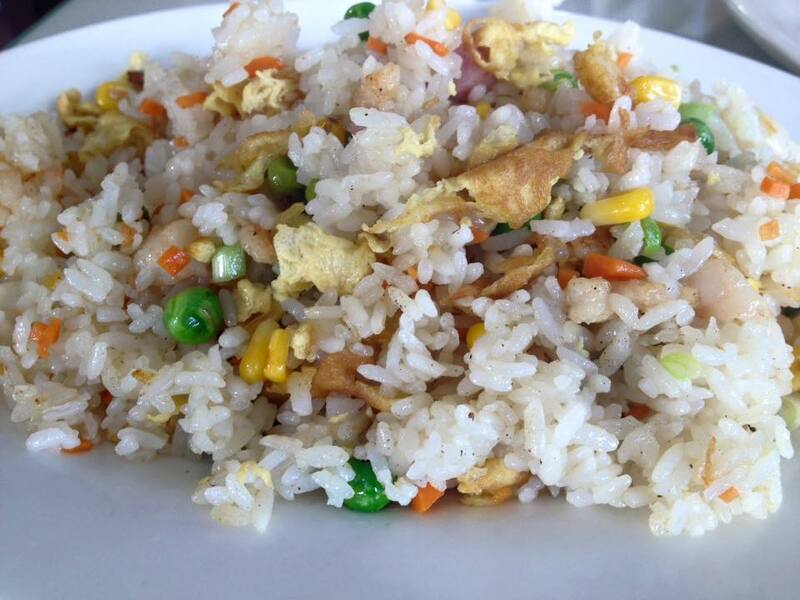 Just so good, if you love fried rice. I had to try the clay pot tofu stew with pork, which delighted me when it came out topped tableside with a raw egg, bubbled and cooked in the stew. 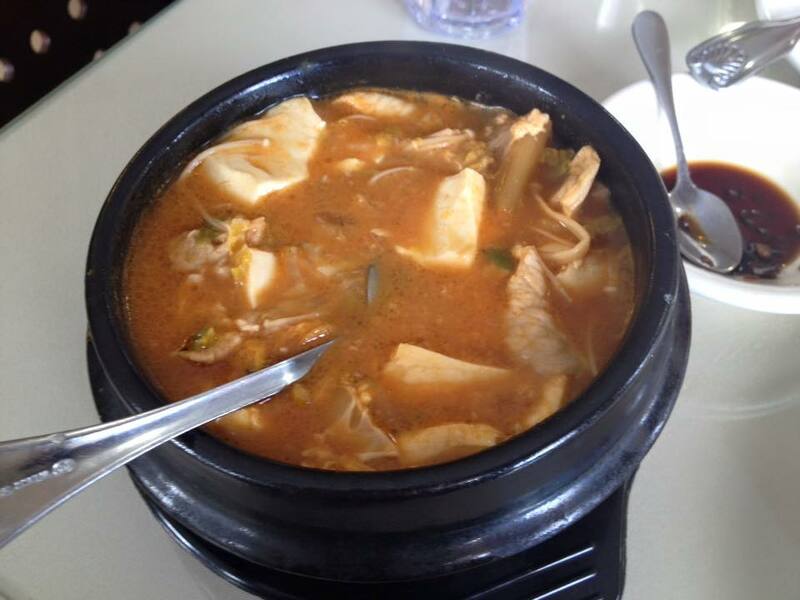 If you love Korean kimchi jjigae stews, then this is a dish you have to try. The flavor is very similar, hot and spicy, with perhaps just more of a tomato-y flavor to the base than heavy with gochujang, and using fresh cabbage instead of fermented. While everything we had so far was excellent, the absolute best dish of the day was their “signature” garlic sauteed shrimp. Now, normally I would steer clear of such dishes because of my issues of garlic intolerance, but when it came out to the table I just couldn’t resist digging in with enthusiasm. This was quite simply the best garlic shrimp I’ve ever had. 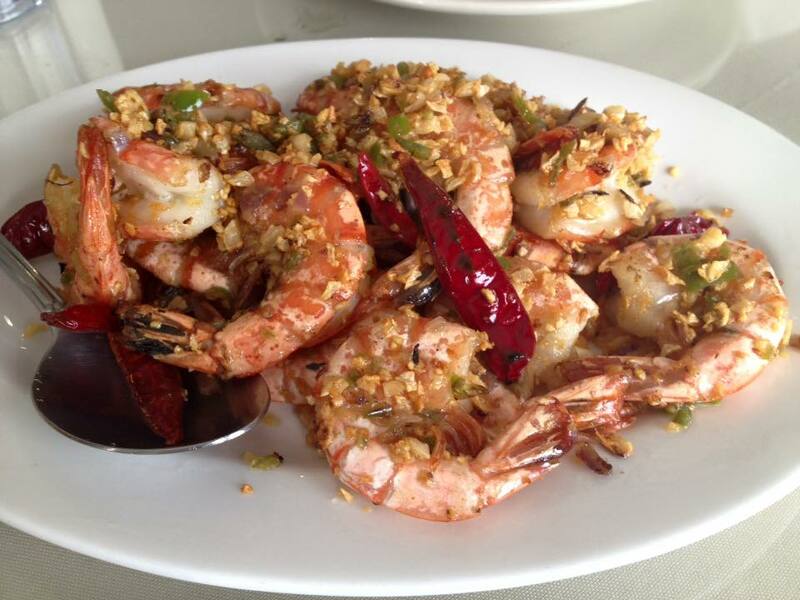 Large, perfectly cooked shrimp were served still in shell (for extra flavor) and topped with copious minced green chiles, garlic, dried red peppers and onions. The flavor was so addictive, I had to force myself to stop eating it all before I over-did it. All in all I have nothing but great things to say about the food at Tasty Eats—at least from what I’ve tried so far, and I’m eager to go back and sample more of the menu soon. Of note, I should mention that Tasty Eats is BYOB, and you can expect dishes to come out as they are prepared, not in a set appetizer-entree-side dish way of pacing. It can also take some time for the food to be ready, given if they are busy or not, but everything is prepared fresh to order so it is well worth any wait. Please do check out Tasty Eats if you happen to find yourself in the area, you won’t regret it! Closed Sundays; other days open 11am – 9pm. 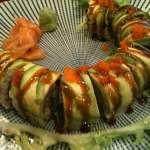 This entry was posted in General restaurant reviews and tagged byob, chinese food, chinese restaurants, dumplings, fried rice, middletown ny, restaurant review. Bookmark the permalink.